Rama Group has consistently proved over the past 21 years, to be a reliable name in the Real estate and Construction industry with finely crafted high quality commercial as well as residential projects dotting the Pune skyline. This has cemented their position among the crème de la crème of real estate developers of the city. Be it premium lifestyles without the premium price-tag, or high- end luxury living, Rama Group has proved their mettle by exceeding the expectations of their clients on every account. 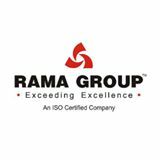 Rama Group is well known for their use of ultra-modern construction technology and materials of the finest quality to create their project with diligent planning and efficient time management, thereby ensuring the delivery of high-quality projects well within the estimated deadline. This quality makes Rama Group the preferred choice of astute homeowners as well as practical real-estate investors.